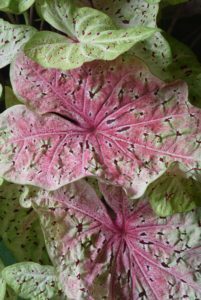 Winter Park Blooms through Keep Winter Park Beautiful & Sustainable will once again be selling a wide assortment of caladium bulbs at the Winter Park Farmers Market during the months of March and April. The funds are used for Winter Park beautification projects and to host the America in Bloom judges who will evaluate Winter Park in late April for the fourth consecutive year. In 2016, upon winning their third major award, Winter Park moved into the Circle of Champions. To join the efforts of Winter Park Blooms or for information about caladiums and how they can brighten your life, please call Stephen Pategas at 407.622.4886.